ST. PETERSBURG, Fla. - April 16, 2018 - PRLog -- Yesterday, Bayshore Marketing Group kicked off their First Annual "Art Ties Us" Contest where the community will vote on original art submitted by local artists. 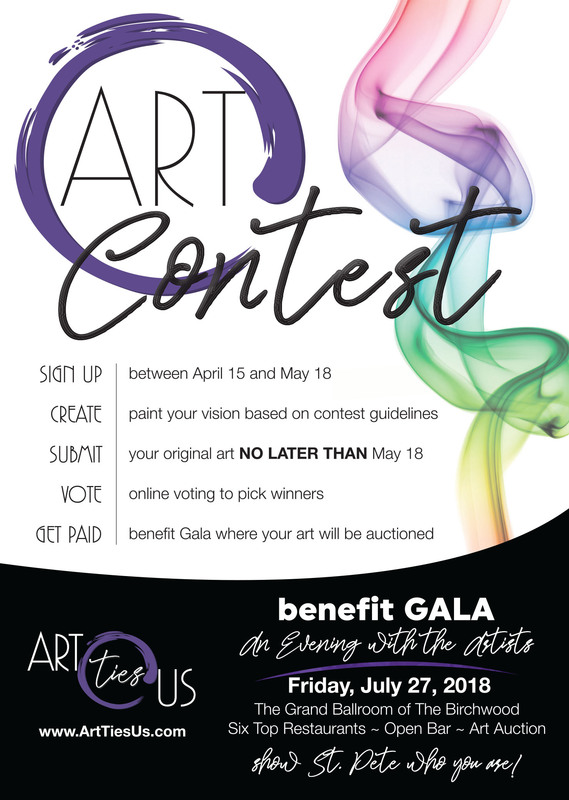 All contest artwork will be auctioned off at a Gala held at The Birchwood in The Grand Ballroom on Friday, July 27, 2018. "We're asking all local artists to participate. 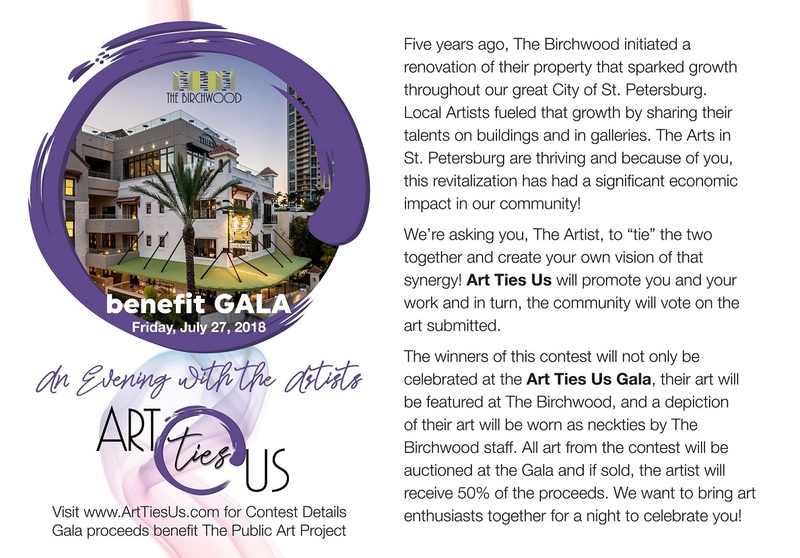 We feel the need to promote their talents and celebrate the contribution they have made in making St. Petersburg the thriving art community it is," said Laurie Stogniew, event Chair, who also created the concept of the contest and Gala. 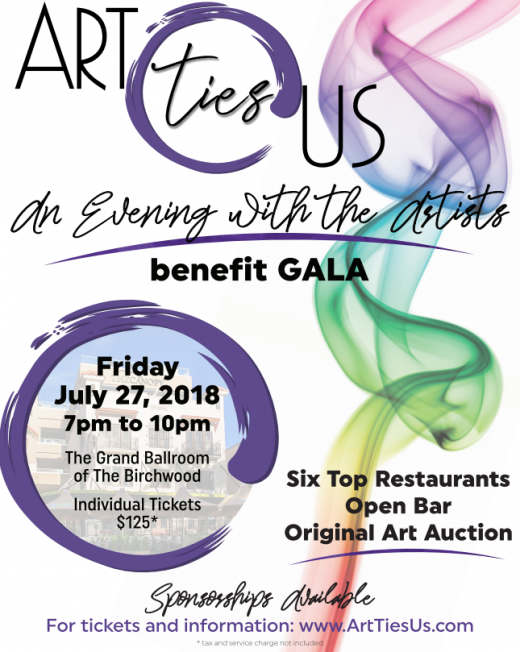 "Art Ties Us" is the tribute to how the Arts have tied our community together and a way to connect the Artists to supporting restaurants, art enthusiasts, and sponsors. Chuck Prather, owner of The Birchwood, has agreed to have neckties made in the likeness of the top three contest winners where the staff at The Birchwood will wear any one of the three for the next year in support of the Arts. The Gala will kick off with tastings from six top local restaurants who support the Arts and segue into a program that will highlight talent from local artists and include a live, silent, and online auction. Artists will receive 50% of the proceeds from their auctioned artwork and the remaining funds received from the event will go to The Public Art Project. To register for the contest go to www.ArtTiesUs.com. All submissions for voting must be received no later than Friday, May 18, 2018, at 3 PM (EST). The Public Art Project is a 501(c)3 not-for-profit organization that advances public art through a variety of methods by working directly with artists, business owners, organizations and local governments.